To our international customers: We are happy to serve you! However, we would like to request that you provide a Singapore address to which we can deliver your orders. Please accept our apologies for the inconvenience. 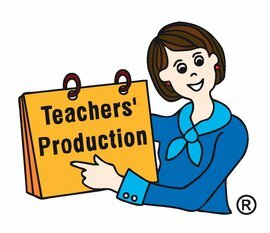 We at Teachers' Production promise to protect you and your data. We will never use your information for anything other than the purposes of answering your queries, fulfilling your requests or completing our transactions. Please be advised that our products are protected by copyright law. They may not be reproduced in part or in whole, in any form whatsoever for personal, commercial or educational use. If you would like to make copies of our materials, you MUST contact us to obtain express written permission. Acknowledging the source of the copyrighted material does not substitute for obtaining written permission.